When it comes to the supernatural, one of the most talented writers to emerge in the past few years is Joshua Dagon. The author of the popular books The Fallen, Demon Tears, and Into The Mouth of The Wolf, Dagon has amassed a devoted following. His stories are intricately woven tales of human drama, terror, and moral ideals that strike a chord with even the most casual reader. His tales are also so very well written that the characters and situations seem to actually come alive. It's almost impossible to put down a Dagon book after you begin reading one. As with most authors of stories such as these, Joshua is hardly someone you'd think of having such an imagination. He's a very personable individual who makes friends easily and is always ready for fun. Having interviewed him twice, I've read his books while getting to know a bit about the man behind them. Living in Las Vegas, Joshua, or JD as he likes to be called, certainly has a veritable smorgasbord of humanity from which to draw inspiration for his stories, and he uses his talents to the nth degree. Even if you aren't a fan of the horror genre, give him a read and you'll be hooked. 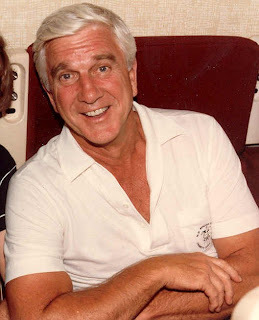 Leslie William Nielsen, OC (February 11, 1926 – November 28, 2010) was a Canadian–American actor and comedian. Nielsen appeared in over one hundred films and 1,500 television programs over the span of his career, portraying over 220 characters. Born in Regina, Saskatchewan, Canada, Nielsen enlisted in the Royal Canadian Air Force and worked as a disc jockey before receiving a scholarship to Neighborhood Playhouse. Beginning with a television role in 1948, he quickly expanded to over 50 television appearances two years later. Nielsen appeared in his first films in 1956 and began collecting roles in dramas, westerns, and romance films. Nielsen's lead roles in the films Forbidden Planet (1956) and The Poseidon Adventure (1972) received positive reviews as a serious actor. Although Nielsen's acting career crossed a variety of genres in both television and films, his deadpan delivery as a doctor in Airplane! (1980) marked a turning point in his career, one that would make him, in the words of film critic Roger Ebert, "the Olivier of spoofs." Nielsen enjoyed further success with The Naked Gun film series, based on a short-lived television series Police Squad! he starred in. His portrayal of serious characters seemingly oblivious to (and complicit in) their absurd surroundings gave him a reputation as a comedian. 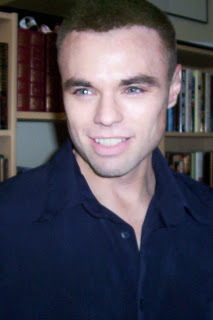 In the final two decades of his career, Nielsen appeared in multiple spoof and parody films, many of which were met poorly by critics but performed well in box office and home media releases. One of his more famous television roles was as Lucas Hollingsworth, the uncle of Blanche Devereaux in The Golden Girls, who married Dorothy Zbornak (Beatrice Arthur). He was recognized with a variety of awards throughout his career and was inducted into both the Canada and Hollywood Walk of Fame. Nielsen married four times and had two daughters from his second marriage. On November 28, 2010, Nielsen died in his sleep in a Fort Lauderdale, Florida hospital of complications from pneumonia. ﻿I can’t believe it’s been eighteen years since Dallas went off the air. I remember when everybody anybody knew had to be home by 9:00 on Friday nights because nobody would miss the Ewings or their sordid lives. The man we all loved to hate, JR, was described by Time magazine as a “human oil slick,” but viewers tuned in by the millions for more than a decade to see what mischief he was making, to boo and hiss at him, and sometimes even to root for him. JR was that much of a ratings draw. When I read that Dallas was going off the air in 1991, I felt like most people that the show had indeed run its course. The magic of the early years was gone. Too many of the characters we loved and followed had been written off the show. It was just time for Dallas to go off into the sunset. Friday nights might never be the same again (and they haven’t!) but the years Dallas ruled its time slot would forever be branded into pop culture. True to the show’s enduring appeal, the final scene of Dallas left us with a cliffhanger. The Devil and JR Ewing had been sparring for almost two hours while JR got to see what his family would have been like if he’d never been born. JR was drunk and depressed because everyone had left him, and he had a gun. The last scene was Bobby running into JR’s room after hearing a shot. Had the Devil goaded him into really doing it? Fans would have to wait a few years to find out, but it was delicious fun nonetheless. 1530 - Cardinal Thomas Wolsey, former adviser to England's King Henry VIII, died. 1864 - The Sand Creek Massacre occurred in Colorado when a militia led by Colonel John Chivington, killed at least 400 peaceful Cheyenne and Arapaho Indians who had surrendered and had been given permission to camp. 1890 - Navy defeated Army by a score of 24-0 in the first Army-Navy football game. The game was played at West Point, NY. 1929 - The first airplane flight over the South Pole was made by U.S. Navy Lt. Comdr. Richard E. Byrd. 1939 - The USSR broke off diplomatic relations with Finland prior to a Soviet attack. 1947 - The U.N. General Assembly passed a resolution that called for the division of Palestine between Arabs and Jews. 1961 - The Mercury-Atlas 5 spacecraft was launched by the U.S. with Enos the chimp on board. The craft orbited the earth twice before landing off Puerto Rico. 1963 - A Trans-Canada Airlines DC-8F with 111 passengers and 7 crew members crashed in woods north of Montreal 4 minutes after takeoff from Dorval Airport. All aboard were killed. The crash was the worst in Canada's history. 1963 - U.S. President Johnson named a commission headed by Earl Warren to investigate the assassination of President Kennedy. 1971 - The Professional Golf Championship was held at Walt Disney World for the first time. 1974 - In Britain, a bill that outlawed the Irish Republican Army became effective. 1975 - Bill Gates adopted the name Microsoft for the company he and Paul Allen had formed to write the BASIC computer language for the Altair. 1981 - Actress Natalie Wood drowned in a boating accident off Santa Catalina Island, CA, at the age 43. 1982 - The U.N. General Assembly voted that the Soviet Union should withdraw its troops from Afghanistan. 1986- Actor Cary Grant died at the age of 82. 1987 - Cuban detainees released 26 hostages they'd been holding for more than a week at the Federal Detention Center in Oakdale, LA. 1988 - The U.S. Supreme Court ruled that the rights of criminal defendants are not violated when police unintentionally fail to preserve potentially vital evidence. 1989 - In Czechoslovakia, the Communist-run parliament ended the party's 40-year monopoly on power. 1990 - The U.N. Security Council voted to authorize military action if Iraq did not withdraw its troops from Kuwait and release all foreign hostages by January 15, 1991. 1991 - 17 people were killed in a 164-vehicle wreck during a dust storm near Coalinga, CA, on Interstate 5. 1992 - Dennis Byrd (New York Jets) was paralyzed after a neck injury in a game against the Kansas City Chiefs. 1994 - The U.S. House passed the revised General Agreement on Tariffs and Trade. 1994 - Fighter jets attacked the capital of Chechnya and its airport only hours after Russian President Boris Yeltsin demanded the breakaway republic end its civil war. 1996 - A U.N. court sentenced Bosnian Serb army soldier Drazen Erdemovic to 10 years in prison for his role in the massacre of 1,200 Muslims. The sentence was the first international war crimes sentence since World War II. 2004 - Godzilla received a star on the Hollywood Walk of Fame. 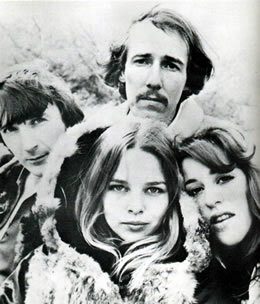 The Mamas and The Papas were one of the most successful pop groups of the 1960’s. With an extensive catalogue of hits, they set out to bring their unique brand of music to the masses and this they did in high style. Comprised of John Phillips, Denny Dougherty, Cass Elliot, and Michele Phillips, the group burst onto the national stage with the hit California Dreamin’ and continued to top the charts with each successive release. Creeque Alley and Monday, Monday have become classics that endure because their sound and their message is still relevant, forty years after their initial popularity. Only Michele Philips now remains from the group. John Philips died in 2001 from complications of liver disease, as did Denny Dougherty in 2007, while Cass Elliot died from a heart attack in London in 1974. When the group was inducted into the Rock & Roll Hall of Fame in 1998, the three living members reunited onstage with Cass’ daughter Leah Kunkle to perform a medley of their hits; the only time they ever had a reunion. In a clip from The Hollywood Palace in 1966, the group sang their biggest hit Monday, Monday to a rousing ovation. There has never been another group like The Mamas and The Papas, and there never will be.